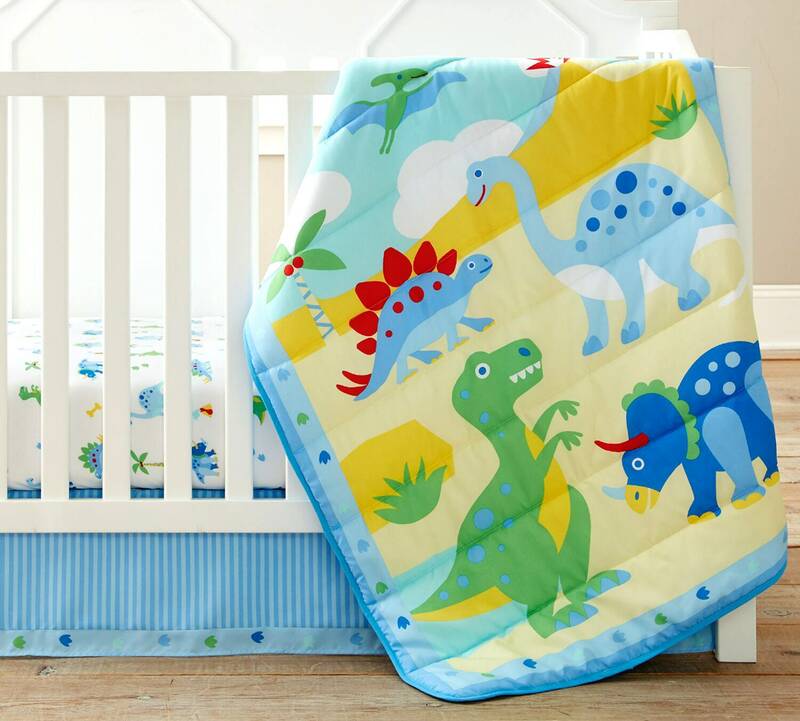 Simply adorable Roaring Dinosaur crib bedding set! 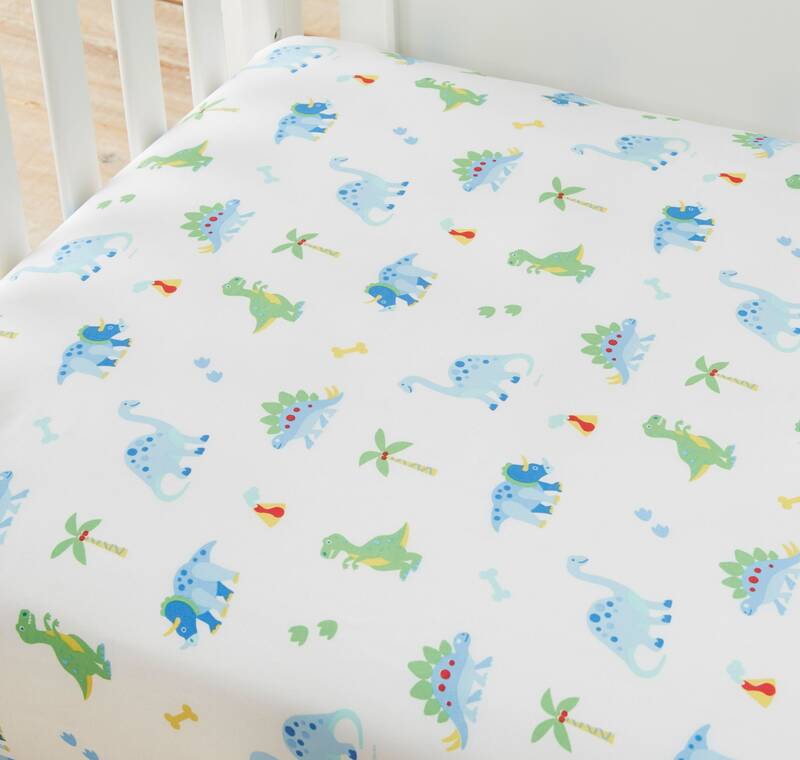 Made from extra soft microfiber fabrics, this 3 piece set includes a printed comforter, fitted bottom sheet and coordinating crib skirt. 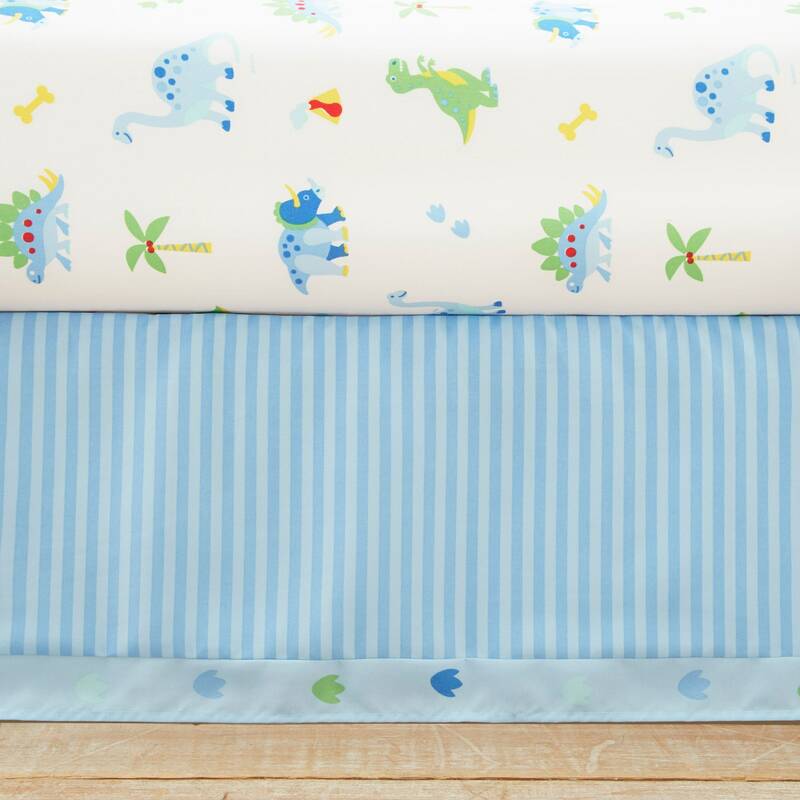 Comforter measures 43" x 34"
3 Piece Set includes printed comforter, fitted sheet, and coordinating crib skirt. All items fit a standard size crib mattress 28 x 52 .